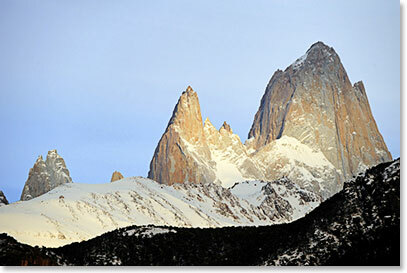 This trip is one of the premier adventure treks in the world. We will be traveling and walking in the midst of the glaciers, granite towers, turquoise lakes and the vast grasslands of Patagonia in southern Argentina and Chile. From the rich and engaging culture of the city of Buenos Aires to the literal southern tip of the Western Hemisphere at the port city of Punta Arenas on the Straits of Magellan, we will traverse some of the earth’s most unknown and fascinating landscapes. Join as they explore the stunning landscapes and depth of culture in the region Stay tuned daily as we post dispatches to track their progress and experiences along the way!